Before you purchase a digital microscope for the first time, we recommend that you read this short article. Too many budding photomicrographers purchase a digital microscope before considering a couple of critical factors – and they live to regret it. This article, therefore, summarizes the Pros and Cons of buying an integrated digital microscope where the camera is built-in versus buying a standard microscope plus external camera. 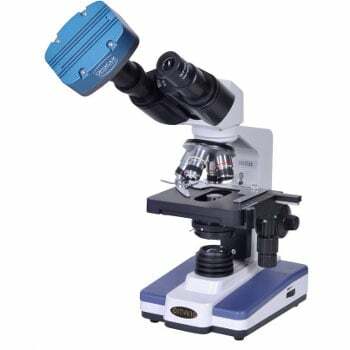 For our purposes, we assume that you want a digital microscope that includes regular eyepieces so that you can view your specimens either with the Human eye or on screen. 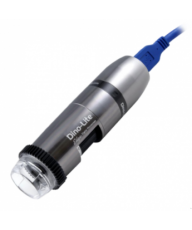 If this is not the case, then we also carry the full range of Dino-Lite Handheld Digital Microscopes which are an awesome and innovative addition to light microscopy. This is a standard trinocular microscope on which the manufacturer has built-in the camera components with a typically, cube shaped housing. We call it the hump! See Image 1 below. The difference here is that you purchase a regular microscope and a stand-alone digital microscope camera. See Image 2. 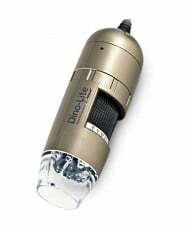 We recommend a trinocular microsocpe for regular users although both monocular and binocular microscopes can be used with a digital microscope camera. An integrated digital microscope has the advantage of being a neat, self-contained instrument. The camera is unlikely to go missing, which can be important in some multiple user settings, such as classrooms. There are also fewer wires to trip over. The major drawback of an integrated digital microscope is lack of flexibility and rapid camera obsolescence. At Microscope.com, we tend to say that “Camera technology changes every five months while (Light) Microscope technology changes every five hundred years!”. While this is not strictly accurate, the point remains valid. Most camera manufacturers, including microscope camera manufacturers, introduce higher resolution cameras with improved sensors and software at least once or twice a year. At the same time, camera prices are falling. By now you may have guessed where we are going! 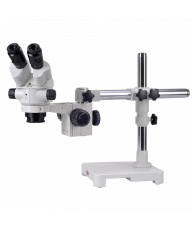 If you go the route of Option 2, you can easily buy another digital microscope camera to use with the same standard microscope that you originally bought. No need to buy another microscope. Simply swap out the microscope camera from the trinocular port, load the new software – and away, you go! 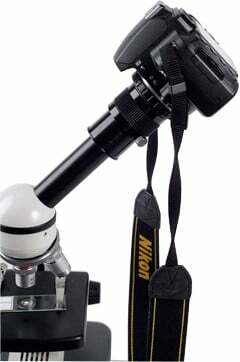 By the same token, you can also use the original microscope camera on different microscopes. Of course, this degree of flexibility is not possible with an integrated digital microscope. In order to take advantage of more modern cameras, you will need to buy an entirely new microscope and microscope camera – an expensive solution! In our opinion, the above points are reinforced by the warranties on the respective products. 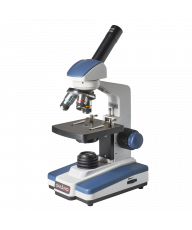 Typically, good quality microscopes carry anything from five year to lifetime limited warranties. Rarely do digital microscope camera warranties extend beyond six months to a year. OK. Now you are thinking about the two options available, don’t forget to decide whether you need a low power (stereo) or high power (compound) digital microscope! 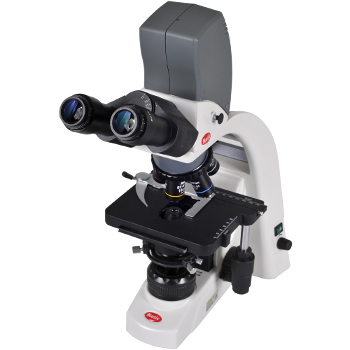 To remind you, a low power or stereo microscope is used to observe specimens that are visible to the human eye: insects, crystals, plants etc. 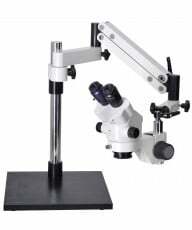 Stereo digital microscopes will give you a three-dimensional view of the image when using the eyepieces. High power microscopes are used to observe cellular structures not visible to the naked eye. * You can also create a digital microscope by using a Consumer point-and-shoot or Digital SLR camera. For this option, you will need a Universal Camera Adapter Kit plus a step ring unique to your camera.